Invaluable hardware add-on for pretty cheap. OTG Blog › Forums › Videos & Photos › Invaluable hardware add-on for pretty cheap. Picked up a new Amazon FireHD 7″ tablet and a mounting bracket for my sim the other day so instead of trying to use my phone with a small screen I have a bit more real estate to utilize. So for me a $49 tablet give me instant access to VFR charts, airport info and the use of approach plates. What a game changer! I couldn’t afford an Ipad mini and yoke mount like what you see BFG using and I don’t use outside of the sim. So for anyone looking to pick up a cheap and quick solution I would suggest going this route. That’s a great solution. 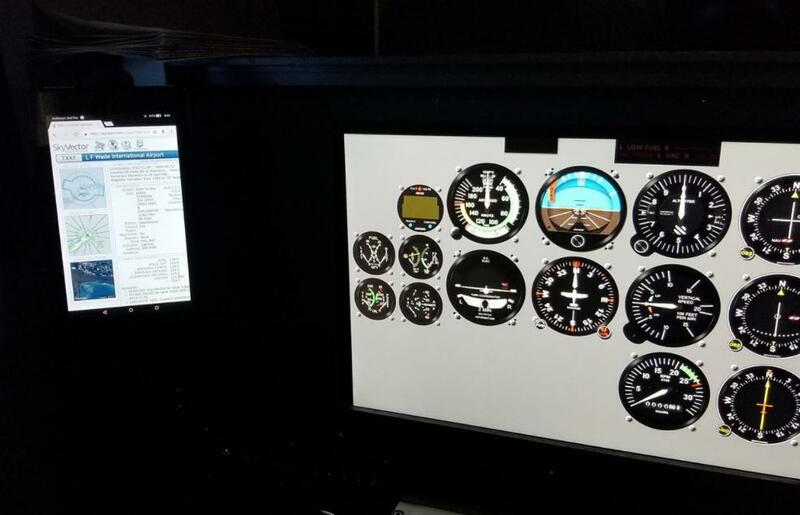 There are soooo many inexpensive, older, or used tablets on the market it should be easy to add one to a sim, and with services like http://www.skyvector.com you can have easy access to planning and plates as well. Your setup looks great.